STAR supports the organisations who represent and seek to improve fans interests. Supporters Direct has been working since 2000 to help supporters gain influence in the running and ownership of their club. In the last fifteen years we have helped our members to establish over 185 trusts in the UK and we have worked with supporters to purchase and develop more than 50 community owned clubs. We have supported these members in raising more than £50 million to be reinvested back into their clubs and communities including £6 million through community shares projects; an area where we are market leaders. You can read more here. The Football Supporters’ Federation and Supporters Direct – together the Unified Football Supporters’ Organisation – is an inclusive, independent, democratic organisation working with supporters, governing bodies, leagues and clubs to drive positive change in football through supporter engagement at every level of the game. We nurture and develop supporter networks at local, national and international levels, working with supporters’ trusts, clubs and individuals to initiate and support campaigns on issues of concern to football supporters, encouraging good governance, supporter representation on club boards, community-ownership and sustainable stewardship of football clubs. A commitment to diversity underpins all of our activity and we oppose all forms of discrimination or violence in relation to football. Read more here. Working throughout the football, educational and community sectors to challenge discrimination, encourage inclusive practices and campaign for positive change, Kick It Out is at the heart of the fight against discrimination for everyone who plays, watches or walks in football. Read more here. 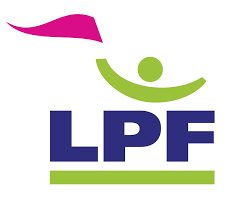 Level Playing Field (LPF) believes that being a disabled person is a social issue and that an individual only becomes disabled because of the social, attitudinal and environmental barriers that the individual faces (this is known as the social model of disability). Read more here. GFSN are a voluntary organisation, they are a social, playing and campaigning network for Lesbian, Gay, Bisexual & Trans (LGB&T) football fans and their friends. They organise regular events, match visits, and tournaments, and campaign on issues relating to homophobia in football. The GFSN League is the world’s only national LGBT football league. Read more here. All STAR Board Members are volunteers, either elected by members or co-opted. Media enquiries should be sent to media@star-reading.org. Please note that although we have a number of volunteers monitoring this address they may not be in a position to respond immediately.